Bikes are the man’s best friend. A person who owns bike can go out to his favorite location to kill loneliness, boredom, depression, etc. Apart from experiencing the thrill and excitement of driving a two-wheeler in real life, millions of people love to play bike racing games on their Android devices because of only one reason i.e. speed. Some motorbikes reach up to 300 KM/hour within a few minutes. Driving a bike at such breathtaking speeds on the roads is life threatening. You are risking your life as well as endangering the life of people driving their vehicle at a normal speed. Soner Kara, the developer of the Traffic Racer app is the top developer on the Google Play Store. Hence, it’s bike racing game is no doubt a magnificent and entertaining game. Free ride, one way, two way. Now, select the time i.e. Moon, evening, and night. Once you select the above options, you’ll see a virtual 3D environment. You are the rider. 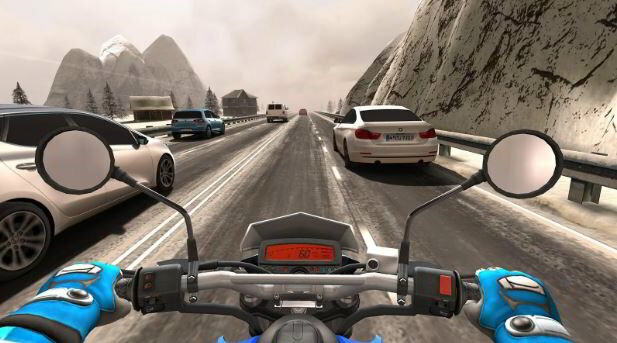 Unlike other Android bike racing games, Traffic Rider provides a first-person view of the world to the player. The current driving speed, total distance covered, and time left on the right side of the screen. The game lets you change touchscreen sensitivity, invert controls, enable or disable background music/sound during the gameplay. It lets you perform stunts too. 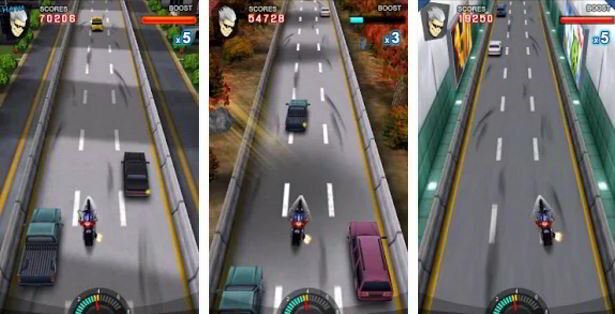 Traffic Rider game for Android and iPhone doesn’t have any road rules. You can drive past other vehicles on the roads at high speeds. 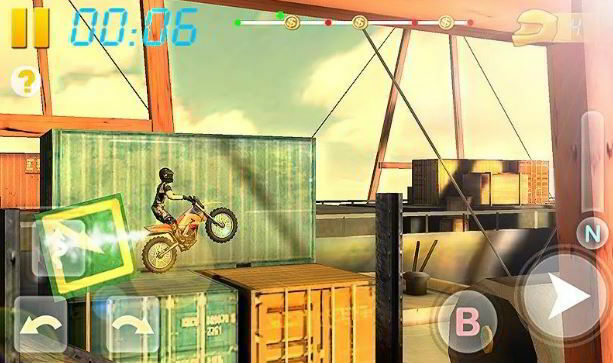 TR is an endless bike racing game for mobile devices. It offers over 20 stunning bikes and exhilarating audio experience. The game provides leaderboard for the users who want to share the points they’ve earned during the gameplay. It supports over 15 languages. The game has several levels. Once you finish one level, BRF shows the time you’ve taken to complete it. The difficulty increases each time you complete one level. The game has obstacles in the form of terrain, valleys, loops, etc. It doesn’t have background music. The only thing you hear while playing BRF is the sound of the vehicle. Bike Race Free game supports multiplayer mode wherein millions of people compete. It has decent graphics and entertaining gameplay. It has over 50 tracks and a tournament mode with predefined tasks to accomplish. If you finish at the 1st, 2nd or 3rd place in the tournament, you’ll earn a trophy or reward. It is easy to play BRF. Tap on the screen to accelerate the bike. 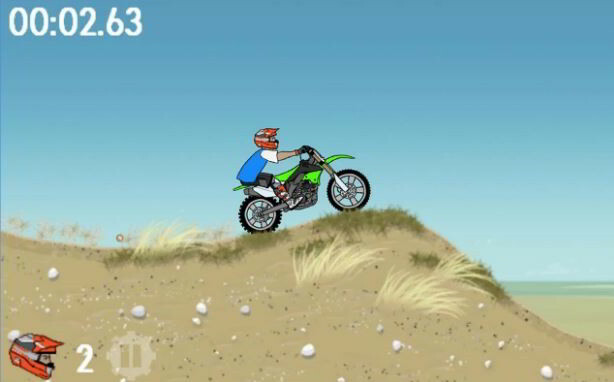 As the game has 2D graphics, you don’t have to tilt the bike to left or right. Bike Race Free has over 50 million users worldwide. It is lightweight and runs on Android 4.0+ devices. MXM is a challenging game with several levels. It provides ragdoll physics for the character and a realistic shock absorber system for the BMX bike. The terrain in the game is stunning. Character and bike physics are awesome. 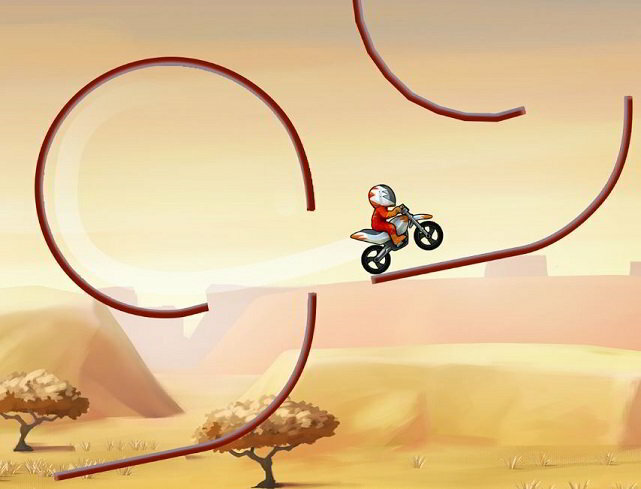 Moto X offers a leaderboard system for the users who want to compete with other players online by sharing scores. MMX offers 2D graphics and parallax scrolling effects. It is addictive and one of the best bike racing games ever. A free game which you can play on Android 2.3 and above devices, Racing Moto lets you choose your favorite bike along with the rider. Once you do so, the gameplay starts. Your bike is deployed on a three-lane track. You have to control the bike to prevent it from hitting other vehicles on the track. Your score increases each time you drive past a vehicle. RM’s gameplay is similar to that of Road Rash. The game makes clever use of lightweight graphics components. It is easy and fun to play. BR from words mobile claims to be the #1 BMX game on the Google Play Store. It is a free bike racing game with stunning 3D graphics. It provides over 55 challenging tracks and excellent object physics. The game lets you play with one of the five beautiful BMX bikes. Its size is 15 megabytes. It supports Android 6.0 and preceding operating systems up to v 2.1. Conclusion: If you’re searching for a free bike racing game for Android tablet or phone, make sure that you install the apps we’ve listed in this article. We have suggested games for high-end as well as low-end mobiles.